On most days, Indian startups worry about acquiring, retaining, and monetizing their customers. But today, things were different — they were focused on pranking them. It’s April Fool’s day, and Indian startups went all out to create the most elaborate schemes and product launches to confuse and befuddle their audiences. April’s Fool’s is fast-becoming a staple on the Indian corporate calendar, and this year, most startups took things up a notch. There were fake products, fake announcements, and even a fake new cryptocurrency. Here are the 6 best April Fool’s pranks from Indian startups this year. 1.Snapdeal: Snapdeal might’ve had a trying year, but that didn’t stop the company from coming out with a new product on April Fool’s Day — Snapdeal With Pigeons. “We’re Revolutionizing logistics in online shopping,” declared Snapdeal, as it detailed how it would use pigeons to carry its packages across India. These weren’t any ordinary pigeons — Snapdeal said these pigeons would be fitted with a wireless chip, which would receive messages through “encrypted blockchain technolgy”, and said delivery speeds would improve by 43.1 percent. As long as the packages are delivered, no harm no fowl. 2. Oyo: Another company that went all out with the blockchain theme was Oyo. 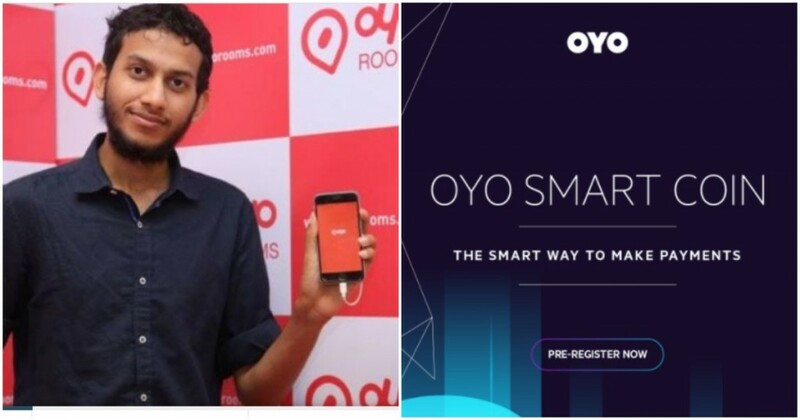 Oyo said it was launching its very own cryptocurrency called Oyo Smart Coin, which would be used by its vendors, hotels and customers to seamlessly conduct transactions among themselves. Oyo even had a dedicated site and whitepaper for Oyo Smart Coin. Even though it was a joke, given how any sort of new coin gets traction these days, there’s no telling where Oyo Smart Coin might end up. 3. Ixigo: Ixigo’s a company that’s been putting in a lot of effort into its April Fool’s jokes pranks over the years, and it didn’t disappoint. This year, Ixigo launched the Ixigo Kavach, a smart lock that automatically gave thieves electric shocks when pilfered bags were taken more than 5 meters away from their owners. Thieves who steal from users of Ixigo Kavach had better be prepared for the shock of their lives. 4. UberEats: UberEats has been bringing food to hungry Indians for a while now, but this April Fool’s it tried to solve a somewhat different problem — aging. Uber released what it claimed was the world’s first anti-ageing ice cream which supposedly works on 8 signs of aging, and rejuvenates skin from within. All of the ice cream, none of the guilt. 5. Urban Ladder: For April Fool’s, Urban Ladder went ahead and built an..urban ladder. The Urban Ladder is basically a chair that’s perched on top of a ladder, and the company says it’s meant for some much needed me-time away from boring banter and mundane meetings. The Urban Ladder also gives the urban professional a chance to stay connected, with bluetooth speakers and in-built charging stations. 6. Ola: Over the years, Ola has had some of the most elaborate pranks of all. In 2015, it claimed to launch a helicopter service called Ola Air, in 2016 it had said it had come up Ola Rooms, a concept through which people could sleep in cabs, and last year launched a Segway-like product called Ola Wheels. This year, Ola said it was launching the Ola News Network, or ONN, which it called India’s fastest news on the go. ONN would utilize Ola’s massive driver partner network to report news, and Ola’s 1 million drivers would double up as news reporters. With trust in mainstream media rapidly eroding, maybe a collection of distributed news reporters could be the solution to finally getting some real, hyperlocal information. Ola was only kidding, but it might be on to something here.